Should there even be a specific reason to visit Dubrovnik? To gaze upon the Pearl of the Adriatic, a historic jewel set within pristine City Walls, is almost reason alone. But look around and you’ll find a medieval treasures a-plenty, contemporary wine bars, panoramic restaurants, and bars with nothing but the sea beyond. 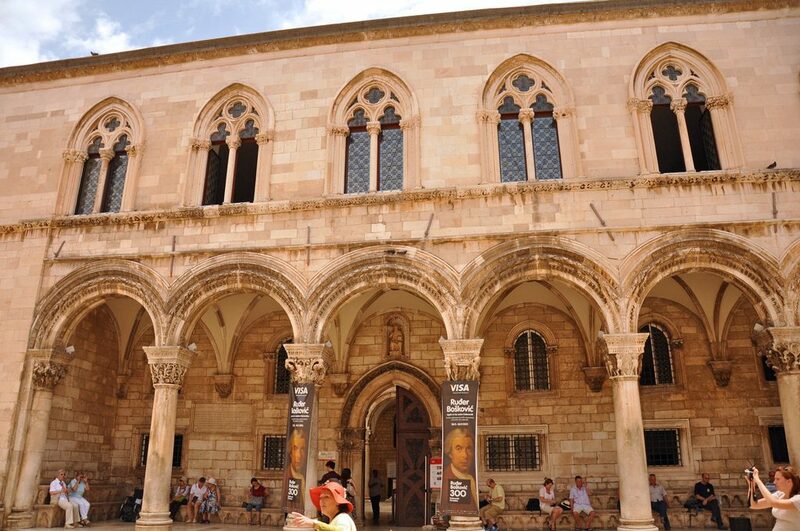 If Dubrovnik’s City Walls are a display of the power of a one-time medieval city-state, then the Rector’s Palace is a look into the everyday details. The Rector presided over a superbly functioning self-government, his palace by the main square containing the sedan chairs, wigs and robes that helped him carry out his duties. Portraits of previous counterparts and colleagues line the walls. Note also the clocks, some set at quarter to six, the time when Napoleon’s troops entered the city in 1806. 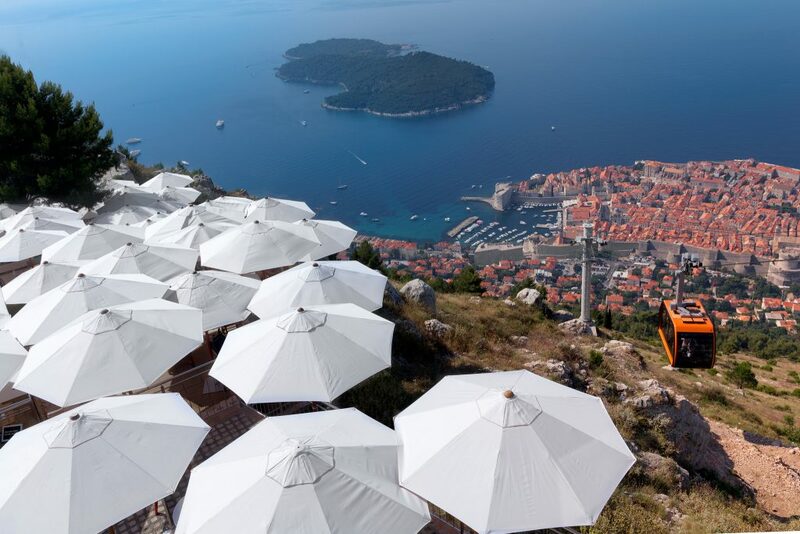 Croatia’s own version of Edinburgh is the Dubrovnik Summer Festival, inaugurated in 1950. Like the Edinburgh Festival, this major cultural event brings the city to life, including the streets, walls and façades of the historic Old Town. Dubrovnik’s festival is more high-brow, with the accent on classical music, opera and 16th-century theatre, in particular Shakespeare. Much else goes on around the regular programme, with many impromptu performances. Opening night is always July 10, closing ceremonies on August 25. The Museum of Modern & Contemporary Art is well worth a visit for its setting and surroundings alone. Looking out over the Adriatic from a prime spot near a string of high-end hotels, the gallery is housed in the impressive Banac Mansion, created in the 1930s for a maritime magnate. Its four floors, garden and atrium now display a selection of Croatian art from the last 150 years. Highlights include portraits by Paris-trained Vlaho Bukovac, the renowned painter of the fin-de-siècle generation born in nearby Cavtat. The classic day trip away from the crowds of Dubrovnik’s Old Town is the taxi boat to the nearest island of Lokrum. Home to Benedictine monks for 700 years until 1808, Lokrum is said to be cursed. No hotels or houses stand on the island – meaning that its secluded beaches, verdant pathways, botanical gardens and ruined fort can be explored in relatively peaceful isolation. You’ll find cafés near the harbour, the old monastery and the lake in the island’s south-western corner. Not known for its bars, Dubrovnik happens to have two that are exceptional for their unique setting. Referred to as Buža, or ‘hole in the wall’, each is cut into the seafacing cliffs that support Dubrovnik’s City Walls, and each gazes out onto the seamless blue of the Adriatic. Buža I also offers sunbathing and access to the Adriatic via metal steps below. Buža II has a more organised feel about it, with waitstaff in branded T-shirts. Buža I can be found near the Azur restaurant, Buža II by a sign saying ‘Cold Drinks With The Most Beautiful View’. 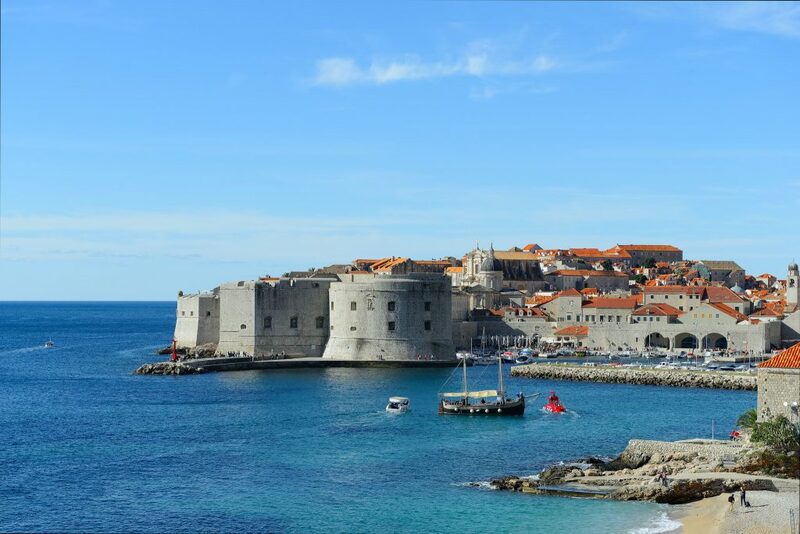 One of Dubrovnik’s more recently added attractions, the bright orange Cablecar offers jaw-dropping views of the Old Town and sea beyond, albeit over the course of four short but memorable minutes. It runs from the top of Mount Srđ overlooking the city to the station on Petra Krešimira IV, walking distance from the northern edge of the Old Town. At the top, you’ll find the justifiably named Panorama bar/restaurant. With the wine-growing peninsula of Pelješac so close, Dubrovnik has long provided Croatia’s best labels in its restaurants. Gathering some 100 domestic varieties under one roof, more than half available by the glass, Dubrovnik’s first wine bar D’Vino in the heart of the Old Town allows you to sample some of the finest varieties from Istria and Slavonia, as well as the famed Grgić Plavac Mali from Pelješac. 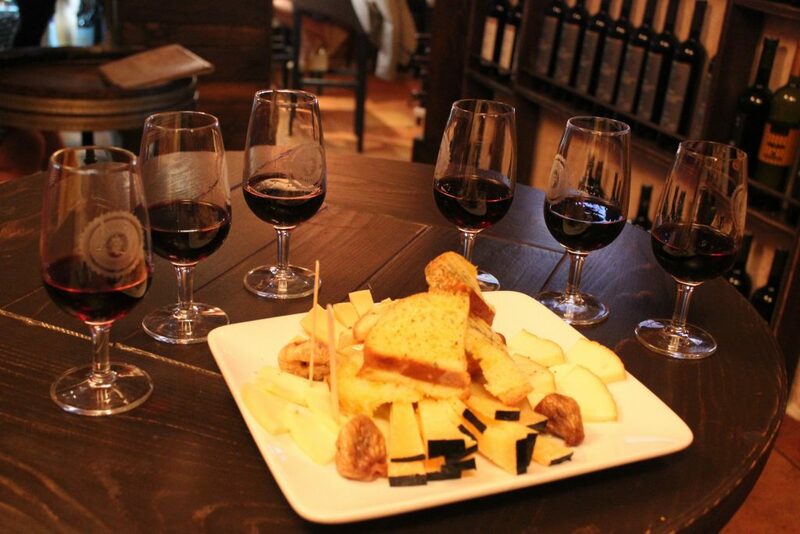 Cheese platters can also be paired with the wines. Those looking to find out more about Croatian wine can sign up for a tour. 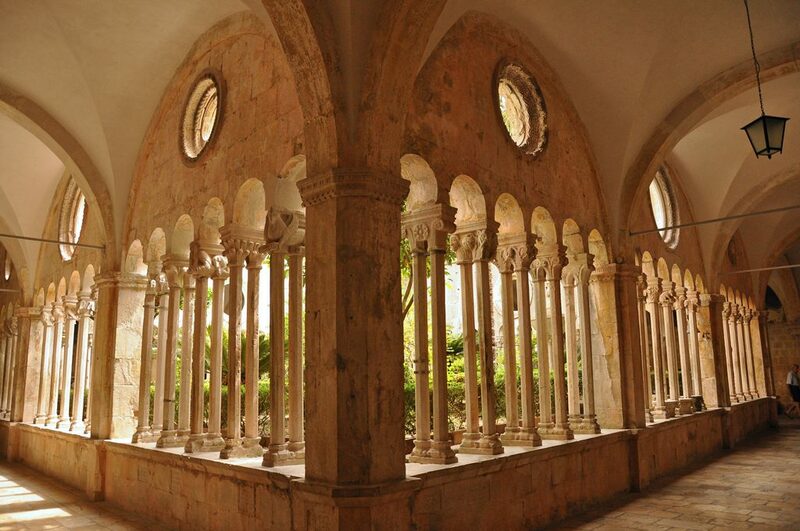 The peaceful cloisters of Dubrovnik’s Franciscan Monastery not only provide respite from the heat and crowds of the focal Stradun, but house one of the oldest operating pharmacies in the world. By the tranquil garden in the inner courtyard, the Old Pharmacy still dispenses medicines to old locals who come in for their orders. It also displays an array of strange vessels and implements from centuries past, when alchemy was an inexact science. 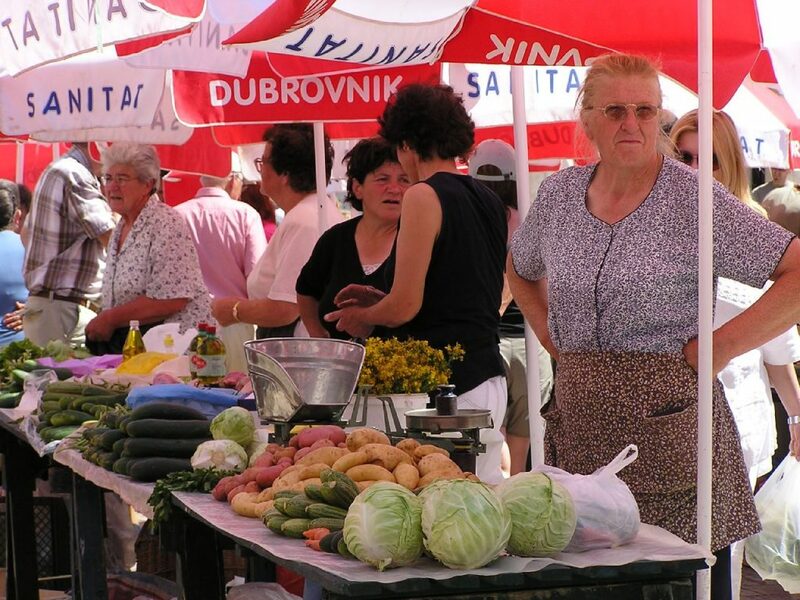 In the heart of Dubrovnik’s Old Town, overlooked by the main sights of the Rector’s Palace and the Cathedral, the main market has been operating in the enclosed square of Gundulićeva poljana for generations. Heaps of colourful fruit and vegetables occupy most tables, but you’ll also find stalls of honey, spices, lavender and oils. Wines and strong spirits are usually kept below decks. 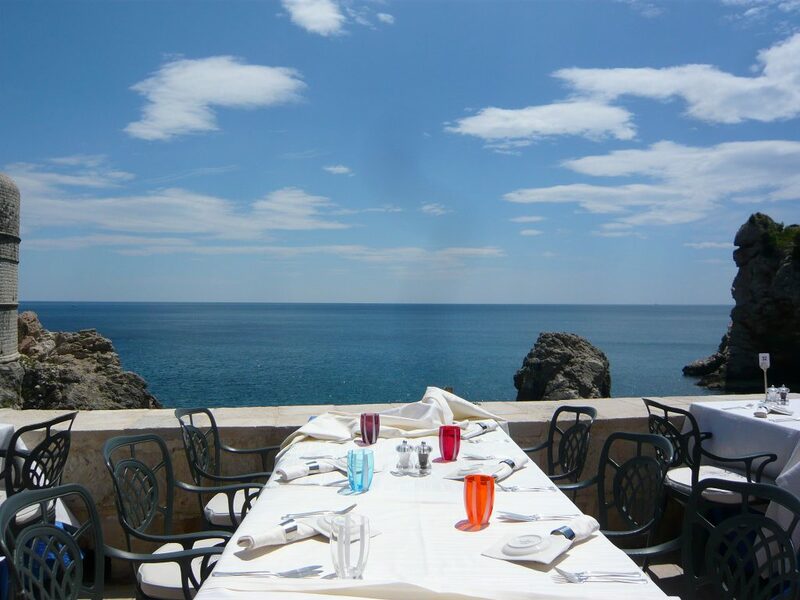 Dubrovnik’s most venerable restaurant has long occupied this prime spot overlooking a little bay and the Bokar fortress. Nautika is where to come for that romantic splash-uot on your last night, ideally having first booked a table on the Penatur terrace. Lobster from Vis and shellfish from the nearby island of Lopud are among the classic dishes. It wasn’t too long ago that the pristine Dubrovnik of today was being bombarded during the Croatian War of Independence. Photographer Wade Goddard came here to cover the Siege of the early 1990s, then decided to stay on and create this unique gallery. 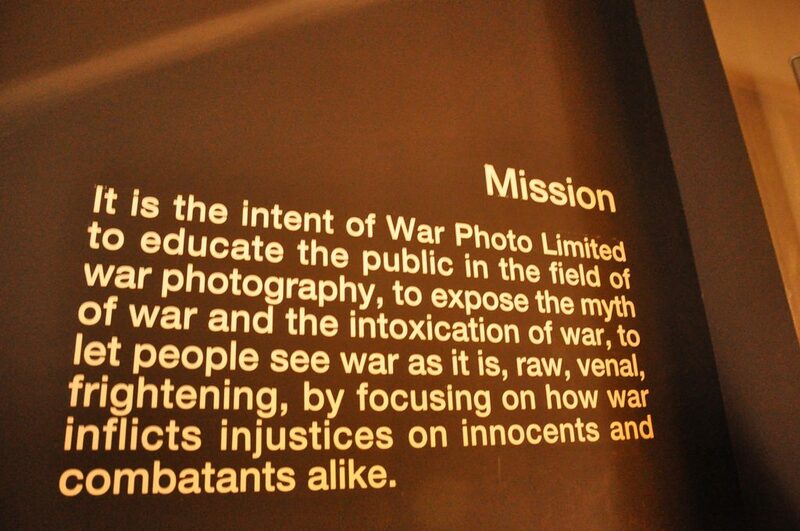 War Photo Limited is divided into a permanent exhibition of photographs from the Dubrovnik bombardment, and a temporary one from contemporary conflicts. Recent examples include depictions of scenes from Gaza and the Yemen. A tour of the City Walls provides a panoramic introduction to what was a significant sea-faring power. Dotted by towers created by Florentine master Michelozzo, who left plans for other architects to follow, the City Walls protected a thriving city-state from potential invasion by Venetians and Ottomans. Today they offer a unique view of the Old Town, still intact, and the serene Adriatic beyond. 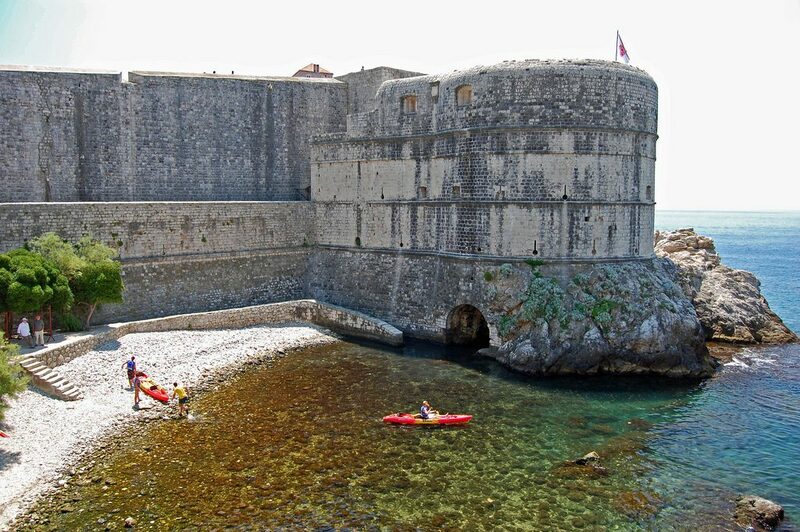 If Dubrovnik has a signature sporting activity, it’s sea kayaking. Tours are organised as half or full-day adventures, with a picnic lunch at a secluded beach only accessible by sea. Complete beginners are given basic instruction before the party sets off from near the Pile Gate, heading for the nearby island of Lokrum. The lower age limit is usually eight and adults must accompany children up to the age of 16. 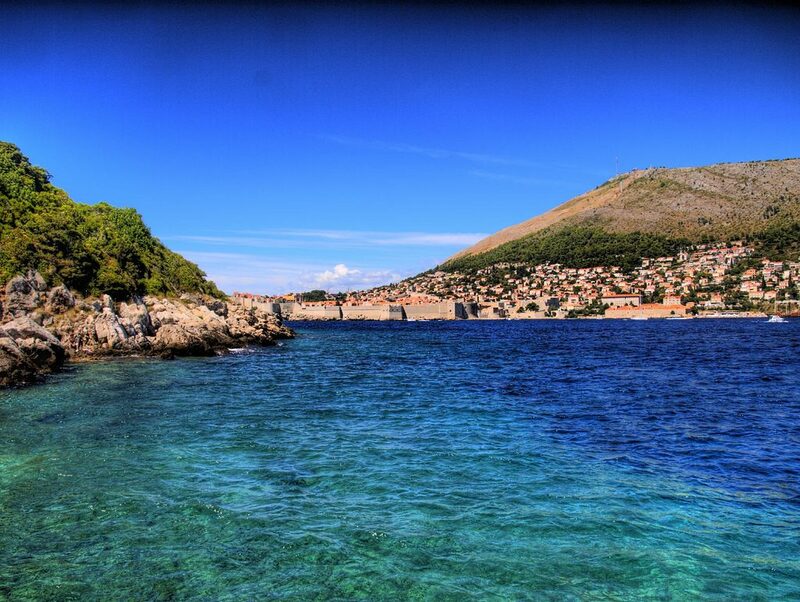 Finding a beach in Dubrovnik is easy – just walk through the Ploče Gate from the Old Town and Banje is right alongside. Being the city beach, Banje is always crowded but pleasant all the same, with sunloungers for hire and a bar/restaurant alongside. Locals prefer to head to the outskirts of town and the more secluded pleasures of Sveti Jakov, just past the Villa Dubrovnik hotel. With showers and sunshades, it’s reasonably well equipped, including a little bar and fabulous views of Dubrovnik in the distance. 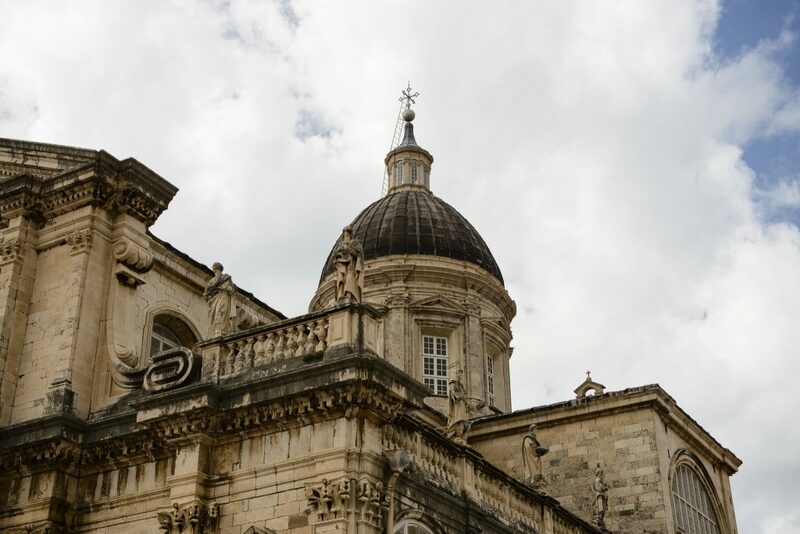 Built after the 1667 earthquake that destroyed the original 12th-century church, Dubrovnik Cathedral contains rare holy relics within its Baroque exterior. The skull and limbs of city patron St Blaise are enclosed within in shiny casings covered in jewels, while the crucifix is said to contain splinters from the Holy Cross itself. Sundry gold vessels from Byzantium, Venice and the Orient complete the collection.